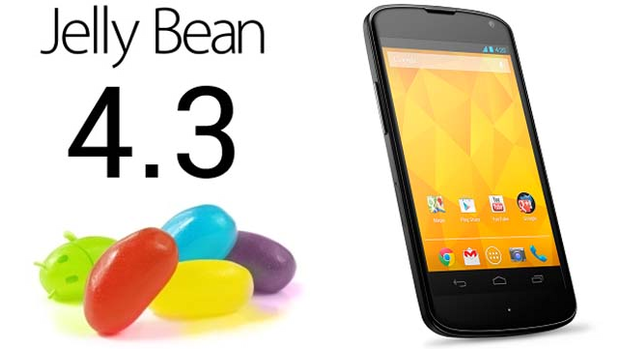 Google's Android software update has been announced and running, although some people might just say "its all the same". Technically you might not see the difference with your naked eye. This will also kick start new development of hardware since Android 4.3's new features will only trigger with compatible hardware. So, today I'm going to share what are these features and how can you get the most of it. 1.) High-Performance Graphics - With OpenGL ES 3.0, 3D graphics will be more detail on playing games and videos, but of course it should come with compatible hardware. As of now only Google Nexus 7, 4, and 10 has this hardware, hence the tablet will get the most of it. We can expect a new brand of GPU with OpenGL ES 3.0 in the coming months. 2.) Bluetooth Smart Ready - Okay, you might say Bluetooth has been featured since day one. But no, this one is different, Bluetooth Smart Ready support enables you to check sensor, for instance checking the heart rate of someone or the blood pressure. Then again, it should come with compatible hardware. This particular hardware will be available soon, as developers and manufactures are already racing who comes first. 4.) Improve Digital Rights Management (DRM) - We don't have much to talk about this as this feature is only applicable for developers. To summaries the improved DRM, this will enable developers to easily integrate DRM to streaming protocols such as MPEG Dynamic Adaptive Streaming over HTTP. That's it! If you've found anything that is misleading or not true at all, kindly share it here, and I'll be happy to revise it. Thanks!